When I read a write-up, be it a report, article, or a social media post, I want to see if any other person can read it and make sense of it. When a writer or the author begins to continuously use words that require constant dictionary searches, it puts me off. In writing, you must relate with the readers – get into their heads and hearts by making them want more, rather than making them avoid your materials. You must keep it simple – keep the grammar simple – keep the rhetoric simple – keep the poetic rigmarole simple. Let your writing make a meaning. In every writing, ideas must come first. Put your points down before you commence – brainstorm to generate ideas. Don’t start until you know where to begin, and where to end. Good writers always see the end from the beginning – which means they know the beginning and the end – they also know all the points they’ll be writing on before commencing. If you put your ideas down first, the most painful part of the job is done. Even in academic writing, ideas must come first. Some people start by telling stories. Others may start with a poem or quote, and some others may choose to use etymology as introduction. Whatever method you decide upon, make sure your introduction is captivating, because if it isn’t, there’ll be apathy towards what you’ve written. Having said that, the type of introduction used in a writing depends on the nature of the content. When you’re introducing, consider the nature – don’t use humour to introduce a subject of a serious incident, or vice versa. Nature determines the type of introduction. You must equally mind your conclusion. Your conclusion must draw an attention – don’t stop abruptly in the middle of nowhere. A conclusion is like when a car is coming to a stop – you don’t stop a car pronto, otherwise, people may get hurt. This is what also happens in writing – slow down your speed, until the car comes to a safe stop in a parking space that won’t obstruct other road users. If you don’t know how to conclude, you’ll stir up unnecessary controversies. There are many intelligent people who are bad writers – they write to hurt, because they don’t know how to conclude. Your ideas must sequentially connect to give a flow of easy understanding. There must be points meeting points – that is, one point must lead to the other. If you’re writing about the causes of teenage pregnancies, for instance, stay on that topic – deviating to environmental pollution is straying from the track. And the moment you begin to deviate to irrelevance, the reader loses interest – when interest is lost, the content is equally lost. It is synergy that increases reader energy – don’t make them lose that energy. Recently, I had an issue with a number of people on Facebook because based on punctuation errors, I read another meaning to what someone wrote. When I was accused of misinterpreting the statement, I pointed them to the error in omitting the necessary punctuation. The person wrote, “He punched me back in March.” Then my comment was, “She shouldn’t have punched first.” I was slaughtered for my comment because they said what the author meant was that in the month of March, the guy punched her. I responded by informing them that if that was what she meant, she should have put a comma after “me,” and the statement should have read “He punched me, back in March.” Without the comma, it can be interpreted as the lady punching first, while the guy retaliated. Where punctuations are not put in their right places, your writing will give a different meaning from your intention, and because it represents you, you’ll be taken for what is seen on paper or electronic – you may not have a second chance of verbally explaining to readers your exact message. Your spellings betray you if you don’t look into them, especially for words that sound alike. For instance, there’s a difference between “lose” and “loose.” “Lose” means to suffer defeat or fail to win, as in a contest, but “loose” means to be free or released from fastening or attachment. Let us look at two other words – bother and border. “Bother” means to annoy, pester, or worry someone, but “border” means a line that separates one thing from the other or a boundary. People who don’t look into their spellings use these words interchangeably – some completely write wrong spellings without apologies. It’s easy to identify nouns and verbs, but sometimes, adjectives are tricky. For instance, I have been guilty of calling people “mediocre,” but it’s an adjective, and so cannot stand alone. You can say, for example, “a mediocre person,” “a mediocre doctor,” or “a mediocre actor,” but you can’t say, “He’s a mediocre.” Be careful when you use certain adjectival words. If you’re going to use a story in a content, check the facts – don’t hear it from someone and use it without verifying if it’s right or wrong. 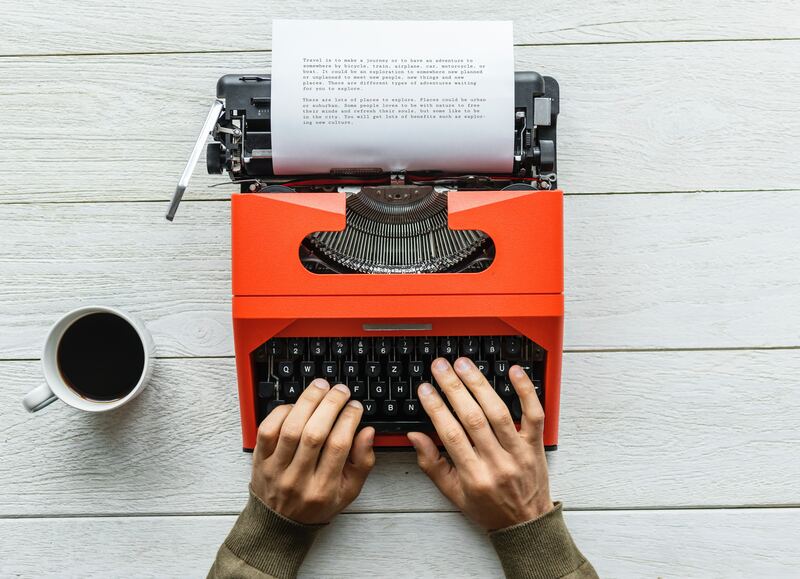 If you’re going to use a quote or a poem, also make sure you’re writing verbatim, what the author wrote – do not paraphrase it except you’re attempting to interpret it – let your readers know you’re paraphrasing, if that’s what you’re doing. You are a cheat if you do not reference whoever you use their content. Plagiarism is not permitted in writing – that is tantamount to stealing. Referencing an author is a way of promoting that author, but using the person’s material without citing (two other words sound alike – site and sight, but they aren’t the same meaning) the source is like putting the person in the dark, and taking the shine off the person – it’s taking another person’s credit for what you did not originate. Even if it’s on social media, if someone has posted something you like, and you want to share it without going through the person’s page, don’t simply put “Copied,” put a link to the person. If you don’t proofread what you write, you will embarrass yourself. I have read lots of content that the authors deserve some slaps on their faces, even from notable newspapers and magazines. Everyday, I read loads of rubbish on the social media, especially Facebook. Sometimes, you can’t make a meaning of what some people write, and sometimes, you wonder if they read a second time what they wrote, because if they did, they would have noticed the typos, the wrong spellings, or the complete nonsense in their content (remember, I didn’t say contents – I said content – they are different). I yell at my children when they tell me to read what they’ve written, without them taking a second look at it first. It is wise to read again, with keenness what you’ve written. If what you’ve written is meant for a blog, social media, newspaper or magazine, go ahead and publish it. I do one thing after publishing – when I’m relaxed or after a few days of publishing, I read the article again. On the social media, I also read over and over again, what I have published. You notice errors, if they’re there, when your nerves are relaxed. Albeit, the article has been published, you can log on to the dashboard in your blog, make corrections, and update it. It is better to do that than leave errors on your content. I see errors eternally left on certain content, and I wonder if their authors ever noticed. I deliberately put this advice as the last point because of its undying importance – write in line with your strength – be yourself. If you aren’t good in fiction, don’t do fiction, and if you aren’t good in non-fiction, don’t do non-fiction. If you’re writing for fun, make sure you’re in line with what you enjoy. Sometimes, don’t give a damn – just make sure your readers understand you – understanding is where communication begins and ends.